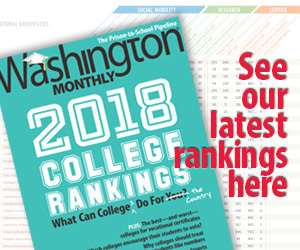 Washington Monthly | Why whine about success? WHY WHINE ABOUT SUCCESS?…. In his speech at the Heritage Foundation today, Senate Minority Leader Mitch McConnell (R-Ky.) repeatedly complains about “bailouts.” It seemed like an odd point to whine about — in 2008, McConnell not only endorsed and voted for the financial industry bailout, he rallied other Republicans to do the same, ensuring its passage. Only a Republican leader would identify one of the administration’s most important successes, complain about it, and fudge the details, all at the same time. Honestly, is this really what McConnell wants to whine about? Under the Republican approach of 2008, officials were just throwing money at GM, hoping things would get better. What the Obama administration did was more serious — instead of just giving GM money to stay afloat, the president used our money to actually purchase a stake in GM. In the process, Obama forced GM to declare bankruptcy, wiped out shareholders, and removed top managers. Republicans insisted this would fail. They were wrong. Leaner, stronger auto manufacturers are seeing their profits grow, and they’re creating jobs again, all while paying back taxpayers. It’s reached the point at which some Republicans who opposed the policy have actually tried to take credit for it. As for Ford, it may not have been bailed out, but the company, like its American competitors, was struggling badly. If GM and Chrysler had collapsed, there’s absolutely no doubt that Ford wouldn’t have had the suppliers it needed to survive. Ford’s executives have already acknowledged this; it’s not exactly a contentious point. If McConnell wants to complain about missteps, fine. But if the U.S. had followed his course last year, literally millions of Americans would have lost their jobs, and American manufacturing would have been devastated — to the point from which there is no recovery. McConnell said a lot of dumb things today. This is among the dumbest.